If there is any theme to this latest old and rare whisky tasting, it’s randomness. 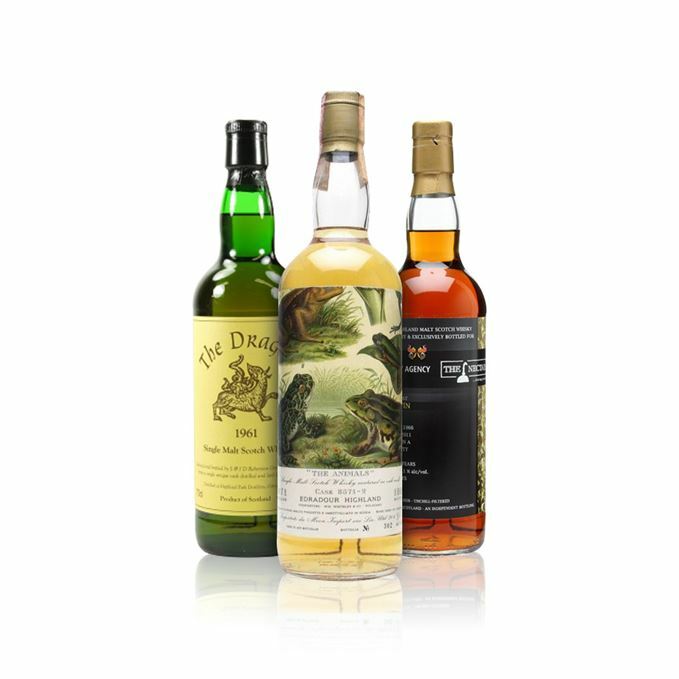 Angus MacRaild has lined up three rather disparate, but equally interesting in their own ways, old single malts. Kicking things off is a 1971 Edradour bottled in 1990 by Moon Import under its ‘Animals’ series. 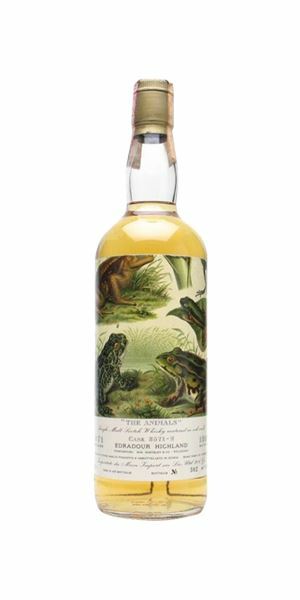 MacRaild finds it to be little short of an abomination of a whisky – one that’s almost depraved in its soapiness; a fascinatingly bad whisky that shows the extremes of character and quality that are possible in this drink. 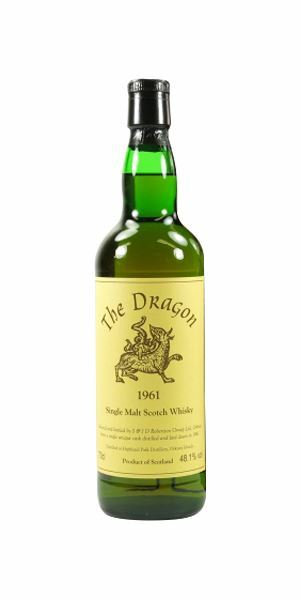 Thankfully, after a considerable amount of palate recuperation time, MacRaild finds the Highland Park 1961 Dragon bottling to be a sublime, idiosyncratic example of aged Highland Park at its waxy, peaty and fruity best. 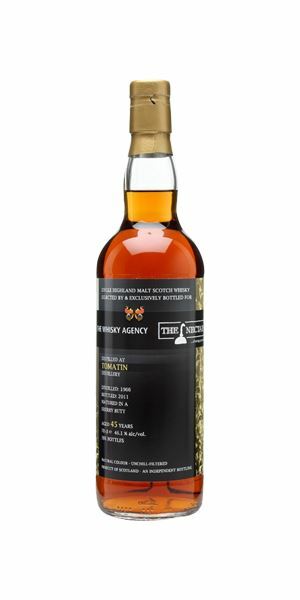 To round things off there is a 45-year-old 1966 Tomatin bottled jointly by The Whisky Agency and The Nectar. It’s an excellent example of a whisky that’s been bottled just before it spirals off into over-tannic undrinkability. Even if, as MacRaild points out, it doesn’t really display the more exotic, fruity aspects of Tomatin’s character that we’ve come to associate with the distillery, it remains a solidly drinkable old dram. Hot aspirin, burning plastics, industrial soap, sour milk, stale Parma Violets. The kind of whisky that you feel just hates you. Aggressive, a trowel of concrete in the nostril. Spiteful, wretched distillate! Deep breath... soap, wallpaper paste, dead squirrel, detergent. Utterly undrinkable! I have to stop. Utterly foul. Rancid polystyrene, necrotic bin juice, rotting lemons, takes a wrecking ball full of Molotov cocktails to your palate. The Donald Trump of whiskies. It’s important to try a whisky like this every now and then; it sort of re-calibrates you. Mind you, this makes Loch Dhu look like Bowmore Bicentenary by comparison, so perhaps it’s a re-calibration too far... I’ve scored it 51 – the lowest on Scotchwhisky.com’s scale – but really it should be 10 points; this is why the 100-point scale exists. Thankfully, we don’t use the lower end too often, but it is a grim necessity for abominations like this. Contemporary Edradours are in another dimension of quality compared to this filth. A pure distillation of bandages, gauze, ointments, beach pebbles and that unmistakably earthy, herbal mulch of Orcadian peat. Preserved lemons in brine and a wonderful blend of various fragrant waxes: beeswax, furniture polish, candle wax and Barbour jackets. Pristine, pure and stunning. A kind of aged mead profile, mixed with ancient yellow Chartreuse, wood resins, camphor, olive oil, sandalwood and a resilient briny/preserved lemon edge. Some herbal toothpaste, menthol and pipe tobaccos, a touch of rancio and some dusty coal hearth notes. Pretty thrilling old Highland Park. Long, resinous, sooty, waxy and full of crystallised fruits, waxy citrus rinds, herbal oils and many waxes and soft medical tinctures. Is there a bad bottling under the Dragon series? If so, I’ve yet to find it. Another totally beautiful old Highland Park that wears its Orcadian peat influence with remarkable poise and grace. A profile that’s really only to be found in these older Highland Parks. Chasing a bottle of 1985 Rangen Riesling and giggling in a rowing boat off the shore near Lochinver. Warm rye and pumpernickel breads, toasted sunflower seeds, boot polish, plenty of blackcurrant liquorice and a few pencil shavings. Coal hearths, a little olive oil, some turmeric, orange oils and a few dried ‘common cupboard’ herbs such as bay leaf and thyme. You can kind of feel the wood in the background, looming. Big and punchy wood spice. Lots of dry earth, mineral oil, sage, sultanas, a little flambéd banana and even something curiously like tomato ketchup. A rather far cry from the super-tropical Tomatins that were to come late in the 1970s. The wood is potent but clean and managing a knife-edge balance. A few burnt raisins and some bitter chocolate. Medium length and all on chilli dark chocolate, tree bark and some brown sugar-dusted muesli. There’s something akin to very old Irish pure pot still whiskies about this one. I wouldn’t say it’s emblematic of what we consider to be Tomatin these days, but it’s a solid example of old whisky that’s just caught on the precipice of being too woody. The fact that it’s held a reasonable strength has been a great asset here. A furtive rucksack dram to confound friend and foe alike at the whisky festival. Rare Batch 45 15/08/2018 Three blends from the 1920s-50s have Angus MacRaild dreaming of a bygone era.